Youth Mosiac Activity - "Treasured Creations"
Based on passages from Genesis 1 and Psalms 139, the youth were encouraged to think about how they were created in God's image and to try to see themselves as special, unique, treasured creations of God. 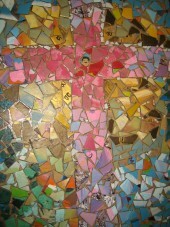 Based on this, each youth then painted a ceramic tile that depicted how they saw themselves through God's eyes. The following week, the youth arrived to find that their tiles had been broken. It was explained that it was done on purpose, reflecting brokenness/sin/the Fall. 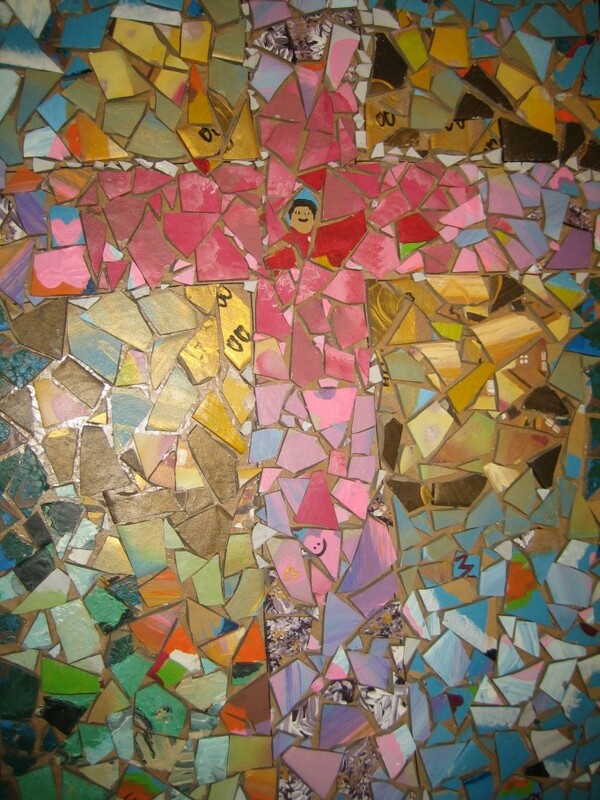 However, the broken tile pieces were arranged into a single mosiac bearing an image of a cross, yet pieces from individual tiles could still be identified.